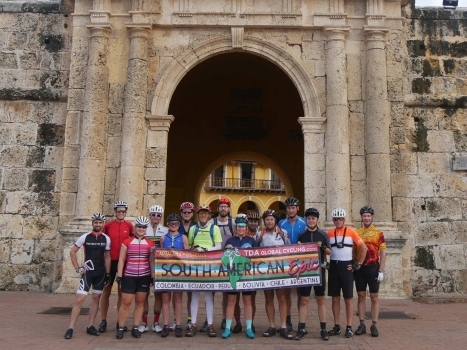 Almost a month ago, the 2017 South American Epic came to a successful conclusion as the 10 full tour riders pedalled into Ushuaia, Argentina becoming the second group of TDA Global Cycling participants (here was the first) to complete the 13,525km ride that began 5 1/2 months earlier in Cartagena, Colombia. Communications Officer Jacob Warner summed up their arrival. “The northern part of the island of Tierra del Fuego is barren and windswept. A tough, inhospitable landscape at the end of the world. 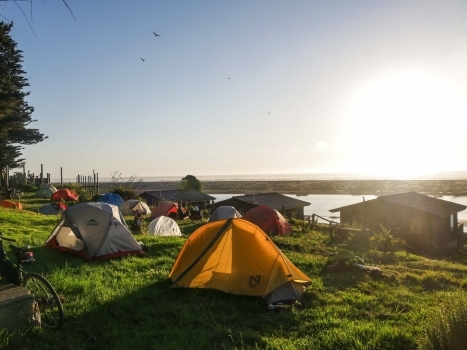 Reaching the island requires a two hour ferry journey from Punta Arenas in mainland Chile. It is the last big hurdle before reaching the well ridden path to Ushuaia – the most southern city in the world. Riding closer to Ushuaia, the landscape becomes more familiar, more scenic. There are lakes, forests, and mountains begin to emerge again. Almost like a reward for completing this epic journey. The island of Tierra del Fuego is apparently not entirely a windswept desert. This contrast summarizes so much of the South American Epic, where dramatic differences in landscape and climate are side by side, and often change within the same day. 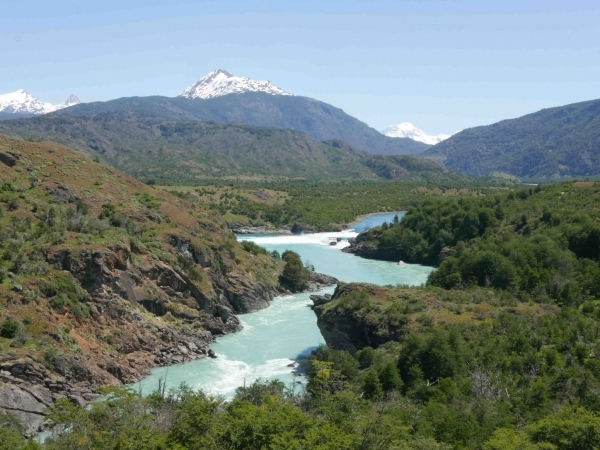 Another example being the shift from Chilean Patagonia with its green forests, blue rivers, and snow capped mountains, to the more arid Argentinian side – empty and windswept. 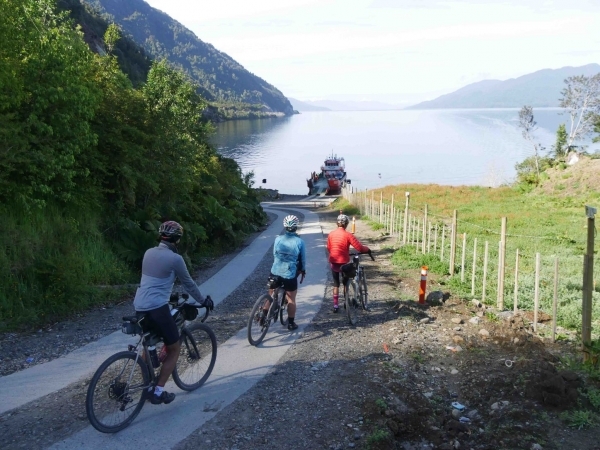 The Carretera Austral section that leads us in to Ushuaia has possibly been the most dramatic, rivalled perhaps only by Colombia and Ecuador in terms of the breathtaking landscapes to ride through. 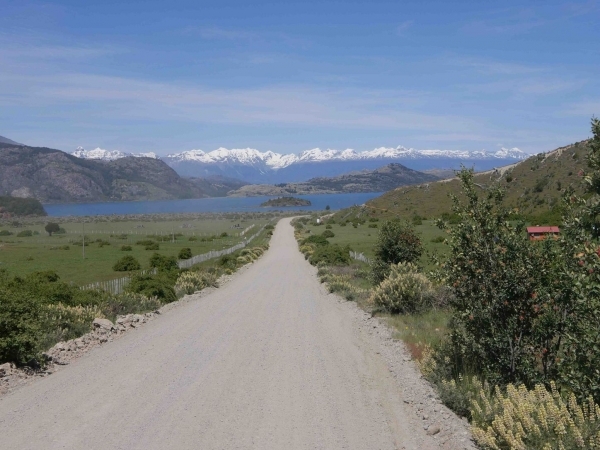 The Carretera Austral itself is something to be seen – a gravel road winding through idyllic farmland flanked by beautiful snow covered mountains, pristine lakes and rivers. It very much feels like an untouched paradise waiting to be explored on two-wheels. 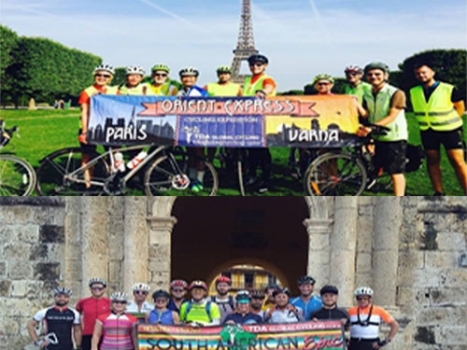 Multiple ferries help bridge the bigger gaps – a welcome rest on tough dirt sections, and an opportunity to appreciate some of the beautiful surroundings.